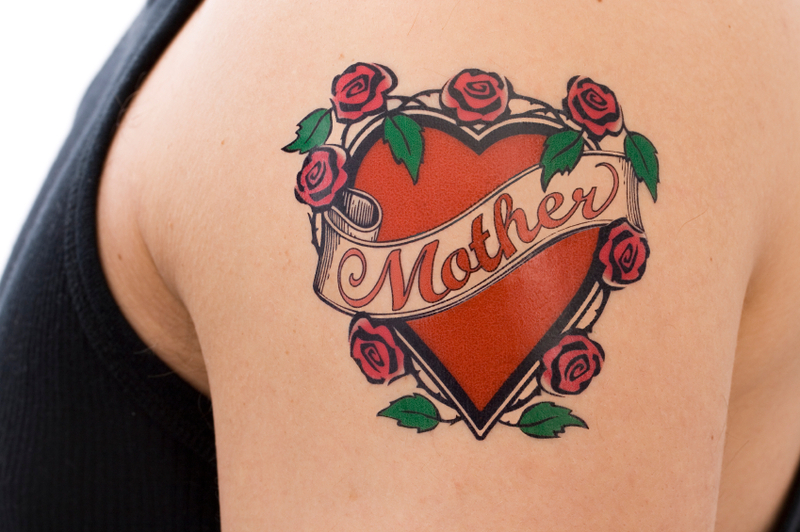 Cross tattoos can be representative of the Christian faith and can be inked in many styles. From a simple black and white image to an elaborately colored version, these tattoos are a popular way to show one's religious beliefs. Browse through various images to get an idea of what type of cross tattoo is right for you. Remember that any tattoo is considered a permanent choice. When considering a religious design such as a cross, you will want to think about the location. Choose a smaller design one or have it placed in an inconspicuous location if you feel it may be an issue at work or home, or opt for a larger, more visible placement if you prefer. Crosses can be a simple design or something more elaborate. You can express yourself through a design that is a direct reflection of your beliefs and personality. A large, bold design will show that you are proud of your faith and want it displayed for all to see. A cross is a spiritual symbol and can represent strength. Those bearing a cross can show that they are not only strong in body but also in faith. A large cross on the bicep is a popular tattoo option for men. This tattoo is both bold and masculine and is a symbol of strength and power. A cross can look elegant and feminine depending on the design. A simple yet elegant option is an all-black cross that has a decorative flair. A series of tattoos can be designed in the shape of a cross. The tattoos themselves do not have to be religious in nature; the shape they create can still be a sign of religious faith. A cross does not have to be just black and white. You can get creative and incorporate a pop of color to make the design stand out and look unique. A tattoo of a cross can be a simple design yet still hold a highly symbolic meaning. Whether you get a cross tattoo to express your faith or as a tribute or memorial to someone dear to you, the design can be hold special meaning and significance that you will think about each time you look at the ink.